iPad, iPhone, MacBook and other smart devices are built in with the feature of auto rotating when they are changed in terms of orientation. There is the landscape and the portrait orientation. When you purchase the devices, more so iPhone, iPod, iPad or smartphones, they are set to be rotating automatically when turned physically. The reason for rotating is beneficial and meant to enable users to maximize the size of the screen in every possible way. Sometimes one would like to watch a favorite movie or video. Landscape is the best screen orientation that is recommended. In a different case, when may be typing a word, excel or when reading through a pdf, the landscape serves best. This means the screen has to rotate automatically. Sometimes the screen would fail to rotate due to some reasons which may be detected or not, but then get solved generally. We have compiled an ultimate guide on how you would fix the auto rotation issues in your iPad, iPhone or iPod. First things first. Ensure that you have turned off the portrait orientation. This can be done by swiping the bottom of the screen upwards to access the control center. An indication that you have turned off the orientation is normally at the top right section of the device. When on, a little padlock surrounded by a rotated arrow would appear. Some iPad models have a side switch that controls the rotation. The auto rotation icon may not appear in the control center. Therefore, ensure the switch is off. Sometimes, the switch may be set to operate in a different way from changing orientations. That is as a mute button. In this case, simply pull the multitasking bar. This would enable you to disable the orientation lock. 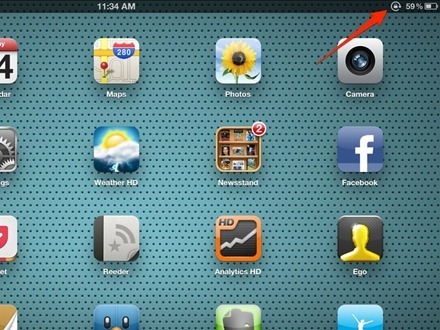 Double tap the home button on the iPad to avail the multitasking bar. When you swipe to the right side of the bar, you will be able to find the rotation lock, where you would simply tap to switch it off. The iPad may not respond in some cases. There is always a way. Restarting the iPad would save the day. When you restart the iPad, all the applications close and start a fresh. On refusal a hard reboot might help the situation. Hard reboot by holding the power button and the home button simultaneously for like ten seconds, until you notice the apple logo on your screen is when you would release the buttons. Remember the power off slide bar may appear. Kindly ignore it and wait for the apple logo. In case you are still experiencing the auto rotation problems, try different applications. This is because some applications are designed to operate only in one orientation. 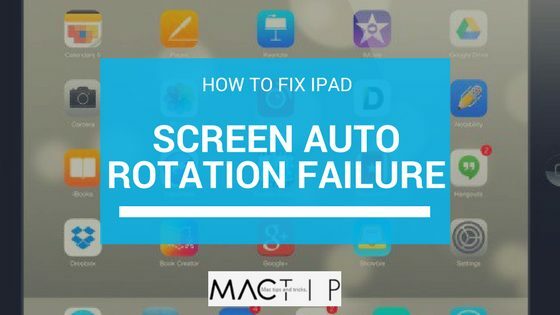 To wrap it all, looking for the auto lock indication is essential when your iPad screen cannot rotate. When one trick fails another ought to show some results. You will as a result be able to view your screen in the best preferred way possible.